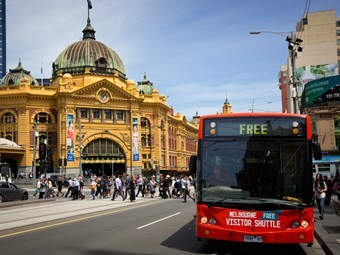 Victoria’s Public Transport Users Association has come out in support of a proposal in which the state’s opposition wants to implement a 24-hour public transport service trial. Labor says it will deliver 24-hour public transport across Melbourne with trains, trams and buses running all weekend, every weekend, if they are successful in this year’s state election. The $50 million, 12 month Homesafe trial of all Friday and Saturday night public transport is proposed to be up and running by New Year’s Eve 2015. Under the trial, trains will run through the night on Friday and Saturday across all lines, trams will transport people all night through the CBD and buses will focus on areas not serviced by rail. PTUA President Tony Morton says they have long called for better public transport options overnight and they are pleased with the 24-hour transport proposal. "Of course at the same time the proposal should not distract from the serious problems that afflict public transport at all other times, nor from the need to plan strategically for what kind of city we want Melbourne to be in 30 years time," he says. Victorian Premier Denis Napthine has come out against the proposal arguing there are higher priorities for developing public transport, but Morton says this is hypocritical as is government is doing so little. He says the group is concerned about the proposed hourly frequency for the overnight services. "We note the intent to provide more services where demand warrants it, but we also know that when the frequency is so low as to be unattractive, the true demand will never be seen," says Morton. "This is as true of night services as it is of daytime services." Labor Leader Daniel Andrews says under the trial, trains will be running on all lines, while trams and buses will also assist people getting safely out of the city to their homes. "We currently have a situation where people are either running for the last train, waiting hours for the first one, or trying to find a cab, it’s not good enough," he says. A Homesafe mobile app will ensure that Victorians always know when their next service will be and Protective Service Officers will continue to staff train stations until the first of the morning services resume. The next state election is scheduled for November 29, 2014.